I'm trying an experiment this week. This is bonus episode is from a talk I gave for the Diocese of Iowa. I'd love to know if you like this or not. Reach out and let me know. Dallas Willard's The Great Omission is a great place to start with the concept of "making disciples as we go," rather than "go and make disciples." This week, I share a conversation with the Rt. Rev. Hector F. Monterroso, assisting bishop in the Episcopal Diocese of Texas. More on Bishop Monterroso can be found here. Catherine, Rasheen and I respond to episodes 3 and 4 of Gimlet Media's StartUp Church Planting series. This is the second part of the conversation Catherine, Rasheen and I had with AJ Smith, pastor of Restoration Church in Phillie and featured church planter on Gimlet Media's StartUp Church Planting series. In this episode, I talk with Hunter Ruffin about unexpected calls and unexpected endings. Hunter can be found on Twitter and Instagram. This week you get another bonus episode! This is from a talk I gave at a retreat for those discerning Christian vocations. Let me know how you like these bonus episodes. Reach out and let me know. The second half of my conversation with Dan So of Anchor City Church in San Diego, CA. Click here to find the first half. My conversation with Shalom Agtarap, the Associate Director of Strategic Faith Community Development for the Pacific Northwest Conference of the United Methodist Church. You can find her on Twitter and Facebook. 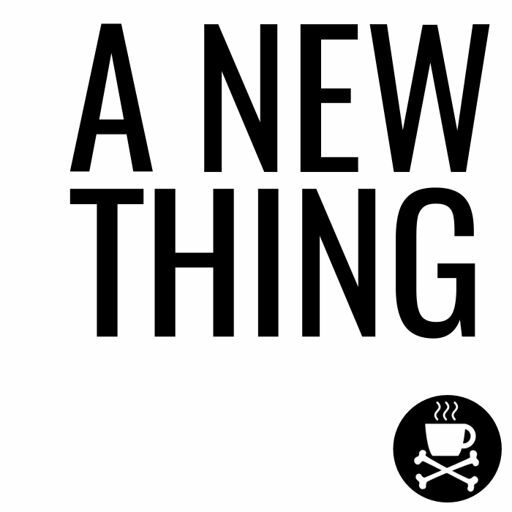 This introduction is simply a preview of a new podcast called A New Thing. New episodes featuring those that start new communities and those that inspire these leaders will be dropping soon. Stay tuned! A New Thing 2018 Jason Evans.